道 (Michi) means road, の (no) is a possessive like our ‘s, and 駅 (eki) means station. Together you have “Road Station“, which have all of the conveniences of a train station but is made for drivers and their cars. 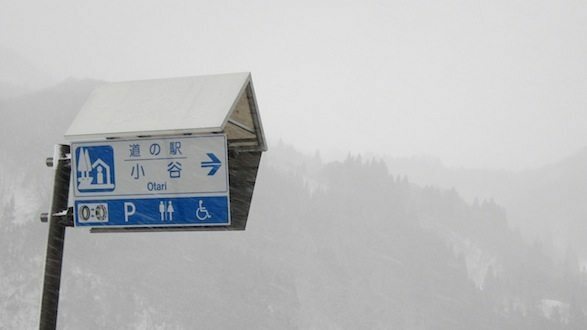 All michi-no-eki are organized by the government, and provide basic travel needs like free 24 hour parking, restrooms, and tourist information. Michi-no-eki is also the hub of many small towns providing them a place to promote tourism and trade. You can often find locally grown veggies, food stalls and restaurants with local specialties, souvenirs, hand-made goods, and sometimes even onsens! Michi-no-eki are government run and merchants are carefully selected to represent the town so you can be sure to find the best food and the most welcoming folks at the road-side michi-no-eki. The Shimoda michi-no-eki has a great sushi shop you can read about here, and on the first floor you can get the Shimoda Burger I wrote about here. The Minami Izu michi-no-eki is known as Yu-No-Hana and is my favorite place to buy fresh veggies and other locally made products. They also have bread and other pastries, plants, a gallery with crafts for sale, and excellent soft ice-cream served with a loads of fresh fruit. 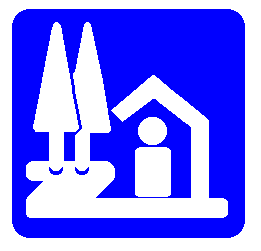 Take note of the michi-no-eki symbol below so you will know where to take a break the next time you are on the road.